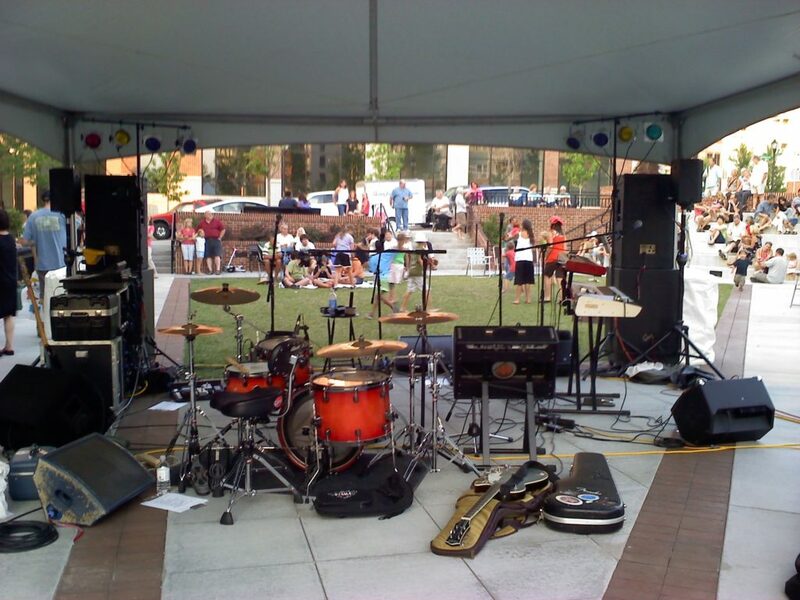 Live music can make special events and weddings all the more memorable. But what about the vows? 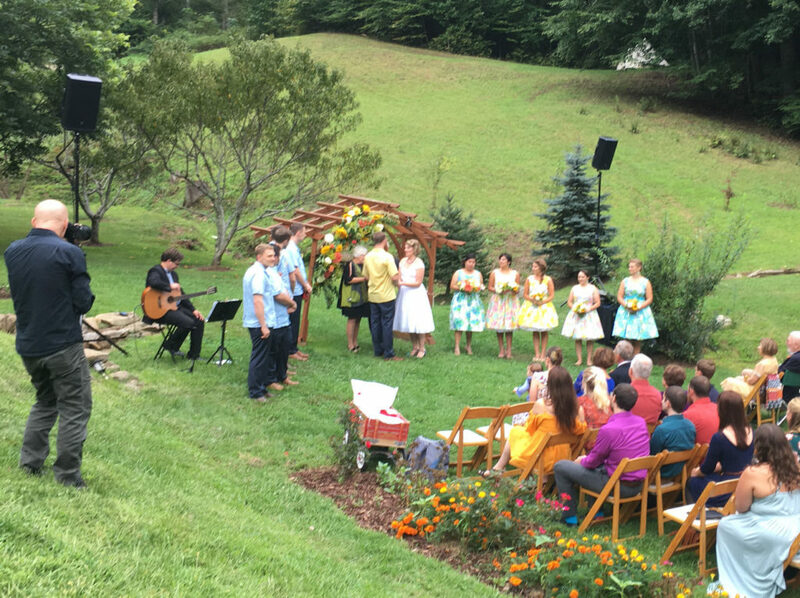 Intimate voices might need to be just a little bit louder, otherwise those precious vows could be lost in the wind… So ask about having the ceremony amplified! Enhance your listening experience with Sound Service, while thoughtfully placed loudspeakers won’t be obtrusive to photographers. 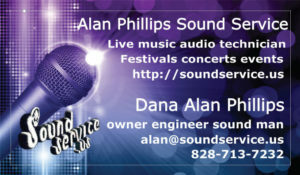 We also provide sound for receptions with a live band, DJ, or recorded music. This is a two officiant wedding, and both are wearing wireless microphones. For privacy, the bride and groom do not need mics, as their vows are picked up by the officiants. Even in this quiet setting, speech and acoustic music might not heard well without a specialized sound system. 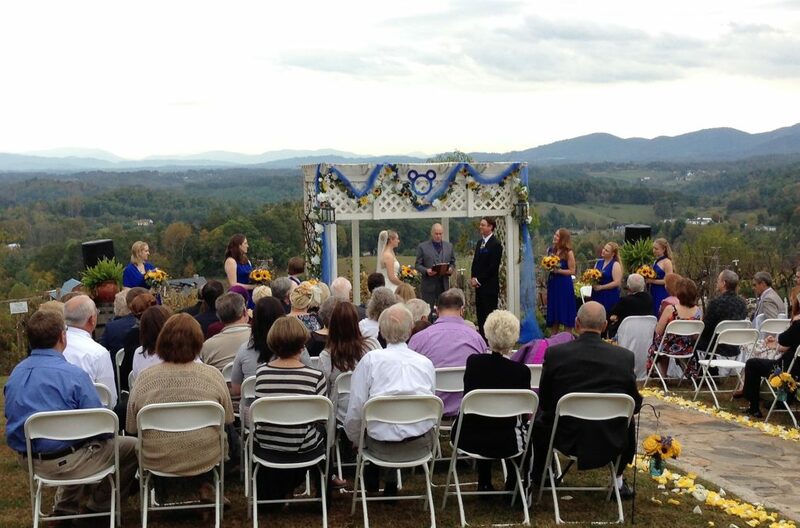 Weddings are performed with wireless mixing so many guests won’t notice the mixing console. Now in it’s tenth year, musicians perform in the Cecil Park green space. Sponsored by Brixx Pizza, Hickory Tavern, and other local businesses around Biltmore Park, it is my pleasure to provide sound and lights for the entire run. We have 2019 concert dates, now need some talent!